Etizolam is a type of drug prescribed by physicians to help patients who suffer from sleep disorders, such as insomnia and sleep apnea, among other types of sleep disorders. In addition, etizolam is also used for a medical treatment plan to help those who suffer from anxiety (someone who persistently worries). Etizolam is a hypnotic and sedative medication that may cause both dizziness and drowsiness when taken, and therefore, people who take this type of prescribed medication should not be driving a motor vehicle of any type. 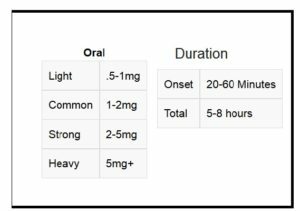 When taken too much of etizolam at one time, or any other type of control substances for that matter, the results can be fatal or serious from drug overdose. 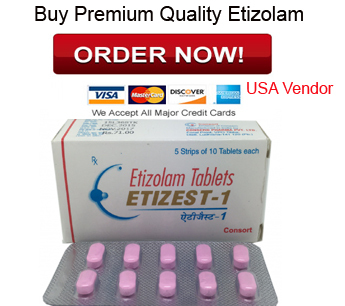 Etizolam is known to be a very dangerous drug throughout countries in Europe, the United States and the United Kingdom, and has other trade names like Etilaam, Etizola, Depas, Etizest and Pasaden. The medication acts as a muscle relaxer because it contains a chemical depressant, thienodiazephine (produces benzodiazepine), with euphoric-like (well-being) effects. When taken etizolam as prescribe by licensed medical doctors in other countries, the effects of etizolam can last up to six hours or less relieving symptoms of insomnia, panic disorders, depression or anxiety. Because of the risks with etizolam overdose, patients should always be monitored by a license medical professional to help prevent the patient from experiencing aggressive behavior, memory loss and becoming dependent (addictive) to the chemical reaction (or high) from the drug. Overdosing from etizolam is rare when taken properly as prescribed by a licensed physician. But, just like anything else when taking too much of any type of drug, even alcohol, taking too much etizolam can lead to serious illnesses and ailments, as well as drug overdosing and even death. Mixing other control substances like opioid drugs (heroin, medication to manage pain), alcohol and other pills that contain the drug benzodiazepines can be highly dangerous and fatal. Minimal amount of breath to the lungs (causing depressed breathing, shallow breathing, thoracic breathing or chest breathing). This will cause an individual’s heart rate to slow down with other serious consequences such as going into a coma, becoming unconscious or causing death. In fact, researchers from the United Kingdom found that too much etizolam can cause death because an abusers organs may fail to function properly, much more than any other type of pills that contain benzodiazepines. The toxicity in etizolam is stronger than benzodiazepine. The toxicity in etizolam is just one of many causes that lead to overdosing from this potent drug. Mostly teens are abusing etizolam when going to parties using etizolam as a recreational drug with other control substances, including alcohol. However, adults who are severely depressed also overdose from etizolam when taking too many pills trying to attempt suicide. An acronym for benzodiazepines when purchasing this type of drug in the streets as a recreational drug is Benzo. Similar to benzodiazepines (containing the drugs triazolam, lorazepam and clonazepam), etizolam has the same side-effects for treating anxiety. Depending on the dosage of etizolam taken and prescribed, individuals should consult a physician if experience any signs of malfunction or overdosing, such as a decrease in appetite, muscle weakness, confusion and headaches. Other signs and symptoms of overdosing on etizolam include fainting, tremor and vision impairment (twitching of the eyelids). Signs and symptoms of overdosing on the drugs with benzodiazepine are muscle tension and spasms, sweating, feeling body discomfort and weakness (being malaise), restlessness and vision impairment like etizolam. Even though etizolam is similar to benzodiazepine, etizolam has the same motif and purpose as the drug diazepam in Valium (also in the benzodiazepine family) for treating patients with anxiety disorders, seizures or muscle spasms. The difference between etizolam and benzodiazepines is that the drugs in etizolam have compounds of thiphene (or thiofuran) with five flat rings while the drugs in benzodiazepines have two benzene rings. Even though etizolam is illegal in the United States and physicians do not prescribe this type of drug, people in the United States, or anywhere in the world, can purchase etizolam on the Internet and other sources. Unlike etizolam, benzodiazepines is a well-known medication that medical doctors prescribe to patients in the United States for treating depression. Nonetheless, both etizolam and benzodiazepine have high risk factors for suppressing the central nervous system causing drug overdose fatality. It is essential to know that consuming alcohol while taking etizolam leads to heavy drowsiness, which may prevent someone who is under the influence of etizolam from working on machinery or other job tasks because the drug is a type of depressant that helps and treats those who have trouble sleeping. Benzodiazepine overdose and intoxication can be detected in an individual’s blood and urine samples. Even though the narcotic etizolam is illegal in the United States, the United Kingdom and other countries throughout Europe, because of its easy access through the Internet, etizolam has become a problem as a recreational drug for teens and used by college students on campus. Yet, medical physicians in other countries such as India, Italy and Japan are legally writing Etizolam prescription to treat people with sleep disorder, depression and anxiety disorders. It is also important to remember that there is help for those who become addicted or have suffered from overdosing on the drug etizolam. Such drug rehab treatment consists of both inpatient rehabilitation and detox using proper medical treatment to help ease the withdrawal process. The risks of drug addiction and abuse is the main reason why the United States and the United Kingdom have banned and prohibited the use of etizolam as a prescribed medication. Another reason why these countries ban and prohibit this drug is because of the dangers in the drug alone, its side-effects and the amount of deaths already from teens and adults overdosing on etizolam.